The Division of Neonatology at Northwestern University's Feinberg School of Medicine trains fellows to become both excellent clinicians and academic neonatologists. 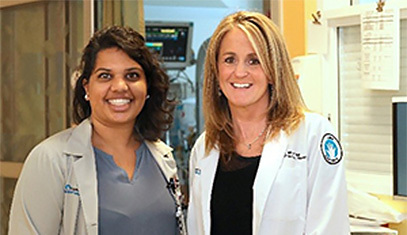 The division offers a three-year Neonatal-Perinatal Medicine Fellowship training program accredited by the Residency Review Committee for Pediatrics. The program accepts four fellows each year. 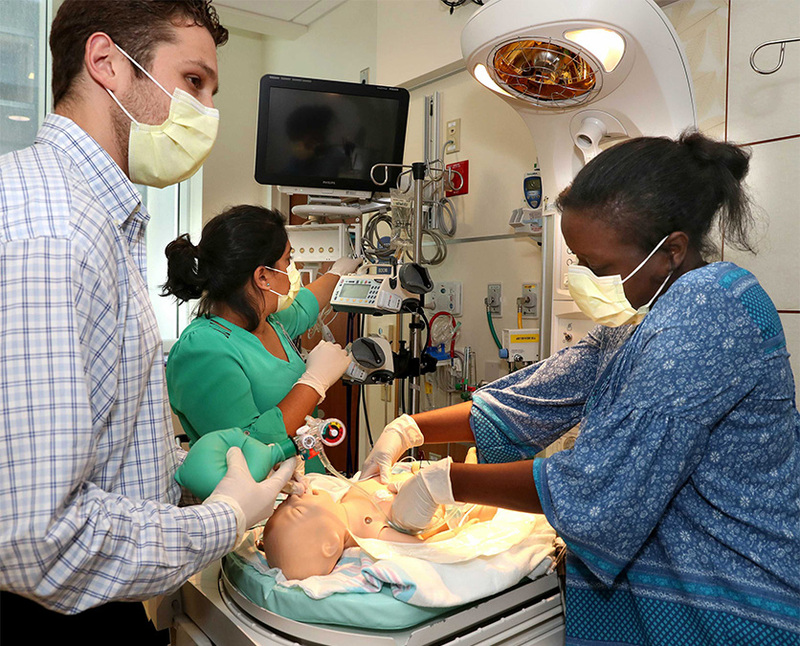 Neonatology fellows have rotations at both Ann & Robert H. Lurie Children's Hospital of Chicago and Prentice Women's Hospital at Northwestern Medicine. Lurie Children’s rotations provide the opportunity to manage outborn infants with complex medical and surgical needs, coordinating care between multidisciplinary teams and learning to support families. Fellows also spend time in the Cardiac Intensive Care Unit, manage ECMO and take care of infants transferred for second or third opinions. Prentice Women's Hospital at Northwestern Medicine is one of the largest delivery hospitals in the country and has over 12,000 deliveries a year. Fellows learn to master newborn resuscitation, manage extremely premature infants and take care of term infants requiring care in the NICU. Fellows also spend time in the Neonatal & Cardiac Intensive Care Follow-Up Clinic under the direction of Raye-Ann deRegnier, MD. In the clinic, they learn to monitor the development and growth of NICU patients after discharge and throughout their early childhood development. The first year of fellowship is designed to teach the new fellow how to manage complex disease processes, master resuscitation, work in a multidisciplinary teams and communicate with families who have critically ill children. The goal of the second year is to build on the first years’ experience and learn how to assume a leadership role in an NICU. By the third year, fellows are expected to take an active leadership role in the NICU. Twenty-four months of the Neonatal-Perinatal Fellowship training program consist of performing clinical or basic research studies in neonatology or developmental biology. Fellows can choose from a wide variety of basic science or clinical investigators, both within the Division of Neonatology and outside the division. View a feed of our most recent publications. We encourage our fellows to apply for grant funding during their training. 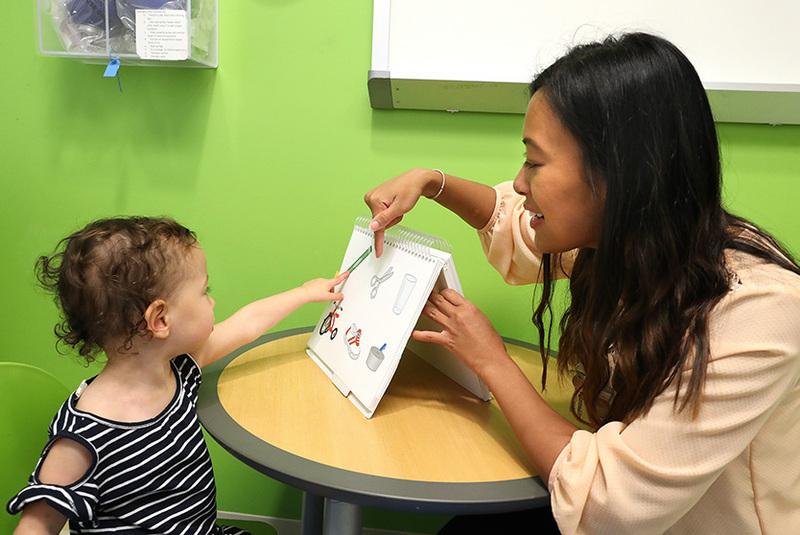 Northwestern University was recently awarded a new training grant, the National Center for Translational Science TL1, designed to train postdoctoral investigators in new and innovative approaches to improving the care of children and adolescents. There are multiple other local and national opportunities to fund fellow research. The NICU of Lurie Children's has more than 550 annual admissions. All infants at the hospital are outborn, and Lurie Children's provides all aspects of medical and surgical neonatal intensive care. The hospital receives referrals for multiple indications including cardiac, surgical and liver failure from the Chicago metropolitan area as well as greater Illinois and other states. The NICU is also a regional ECMO referral center. High-risk infants are followed by the NICU team after discharge in the Neonatal & Cardiac Intensive Care Follow-Up Clinic. Prentice Women’s Hospital at Northwestern Medicine is immediately adjacent to the Lurie Children's facility, has more than 1,000 annual admissions and over 12,000 deliveries a year. High-risk obstetrics units associated with Northwestern Medicine provide experience in managing high-risk maternity patients. Pediatric residents and neonatal-perinatal fellows attend high-risk deliveries. The Chicago Institute for Fetal Health enables our fellows to be part of pre-birth counseling and pediatric care planning for pregnant women carrying babies with medical problems. 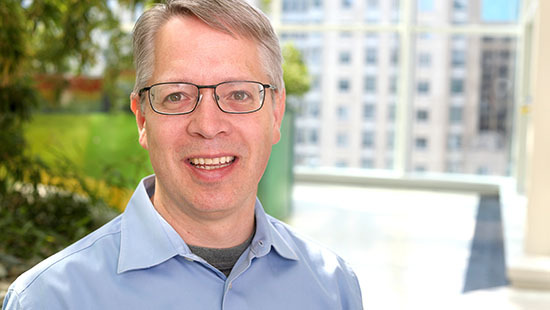 Our fellows and faculty also work closely with Northwestern's division of Maternal-Fetal Medicine, which is part of the NIHCD-sponsored MFM Units Network, allowing the division to partner with 14 sites to conduct multi-center clinical trials. Qualifying examination required for graduates of medical schools outside the United States and Canada are USMLE, FMGEMS, TOEFL and FLEX. A scaled score of 85 percent or higher is required on each section of the EMGEMS for an interview to be granted. You must submit documentation with an English translation so the credentials can be evaluated before interviews are scheduled. Each fellow trainee must obtain a permanent or temporary Illinois Medical License, which is valid for up to three years, before the starting date of the appointment. An application can be found and downloaded from the Illinois Department of Financial and Professional Regulation website. The Office of Northwestern McGaw Center for Graduate Medical Education will assist appointed trainees in this process. No trainee will be permitted to begin clinical training until properly licensed. Each fellow trainee must obtain a National Provider Identifier number required under the Health Insurance Portability and Accountability Act of 1996. For the most efficient application process and fastest receipt of NPI numbers, log onto the National Plan and Provider Enumeration System and apply online. There is no cost with this application. Please retain the original NPPES email containing your NPI number, as you will be asked for a copy of it at every institutional provider at which you practice in the future. Fellowship applications will be processed through ERAS during the fall pediatric subspecialty match. Photocopies of all examination results, letter/score results and visa/citizenship papers must bear official seals and include dates and certificate numbers. If the applicant has a current visa, the status must include entry and expiration dates. The fellowship director will contact you to schedule an interview, which is generally scheduled in the fall season. We are able to accommodate only three to four applicants per day. The process takes approximately one full day. Once you have committed to a date, the program coordinator will contact you with the specific schedule for your interview day.